As we move closer to 2019, it is estimated that over 80% of business traffic will involve some sort of cloud applications. When cloud applications were first released, nobody really understood what the cloud was or how it could help their business, but as the technology improved, so did the secure and flexible solutions available. Some of the most common cloud applications are Microsoft Office 365 and accounting packages such as Xero and Quickbooks. But has your business embraced the cloud yet and if not what are the benefits? While it can give you a sense comfort knowing your servers and thus your data is kept within your office, the risks are less appealing. Your servers could crash, drives become corrupted or unreadable due to a ransomware attack. There are always the standard fire / theft / flood scenarios to consider as well. 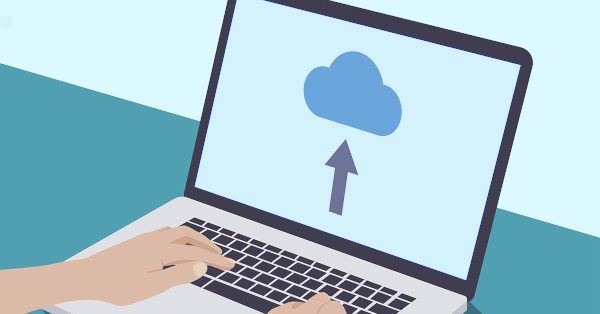 With cloud applications, your data is safely tucked away in high security data centers and come complete with robust backup systems in case anything goes wrong. As part of their SLA guarantees (usually at least 99.9% uptime), your cloud solution will have technicians onsite whose sole job is to make sure that when you need to use the application that it works. We can help you choose the safest, most robust solution with the best performance. Cloud applications are updated automatically on all devices and unlike when you run an update on a local computer the process is almost instant. This is because the update is running in the data center. Thus you are always up to date with the latest features and security patches, with little or no input from your end. One of the best ways to increase efficiency is to remove restrictions around where you can work. With new cloud applications, users don’t have to wait until they get back into the office to send an invoice, follow up with a customer or even make a record-breaking sale – they can do it wherever and whenever they are. This flexibility opens up a world of possibility and can literally hand you a competitive edge. All your employees need is an internet enabled smart phone, tablet or laptop, so you’re even saving money on tech. You can bet we have tons of ideas on how your business can take advantage of this freedom. Employees can collaborate with ease as all the data is held in one location. Nobody gets locked out of files because someone else is using it and changes appear in real-time for multiple users. By having a single version of a file, workflow is faster and results are quicker employees enjoy better satisfaction with a job well done. It may sound like a simple but we know how frustrating it can be for people to collaborate without the right tools. With the NBN and other fast Internet options Internet speed is fast becoming a non-issue. It simply needs to be stable and meet a standard speed. If you are concerned, we can run speed checks and recommend other options to make it a smooth transition for you. Because the cloud is internet based, the application works with your established network, whether it’s wired, wi-fi or cellular (or a hybrid of various connections). Some businesses also choose to have a 4G or another type of fail over Internet connection set up in case their primary internet connection goes down – this way the connection automatically switches over and downtime is completely avoided. We can help set this up for you if needed. Cloud applications are a great option for both big AND small business. Smaller businesses can now use the same software as their bigger rivals as they now only need to subscribe to single user licenses. Larger businesses can enjoy the multi-user license savings and avoid the headaches associated with have local application servers running. We can help you choose the application and cost-saving model that suits your business best. Talk to us about your cloud options and Contact us now on either 08 8326 4364 or support@dpcomputing.com.au to lock in the advantages today! Bank account theft: As with real bank robbers virus creators are more than happy to help themselves to the money in your bank account. Once they have your login details (obtained via a key logger) they simply transfer your funds away or use your credit card details to go on a shopping spree. Sometimes they’ll leave the fun to another person by selling your details to the highest bidder. Ransomware: Sometimes a virus will encrypt your files and demand money for a key to unlock you own data. Without a true backup procedure in place you are at their mercy. Once you have paid the nightmare may not be over as they now know you are an easy target and request even more money. Ad swappers: A very cheeky technique which you may never know is happening to you. This scam is when a virus puts annoying ads on websites you visit or places affiliate codes on pages. When you buy something legitimately – eg, from Amazon – the affiliate codes allow the hacker to get a percentage as a ‘referral fee’. Their kickback doesn’t make your purchase cost more and you may not even know you are infected. Bitcoin mining: You have heard of digital currencies being used for payments but did you know you can also earn money via bitcoin mining? You can earn this money by running specialized software on your computer but sometimes this means paying more in running costs than you would actually make – unless you were very clever and sneaky, and used a virus to use the processing power on other people’s computers. Account stealing: Subscription accounts like Netflix and Hulu are often hijacked allowing other users a free ride by using your accounts. Gaming accounts open up another world of financial incentives with those digital items that people work hard for in the games worth a pretty penny on the black market. These are just a few of the ways people make money through viruses and malware. If you know of any others please leave a comment below. Give us a call at 08 8326 4364 to make sure your computer is secure and protected.